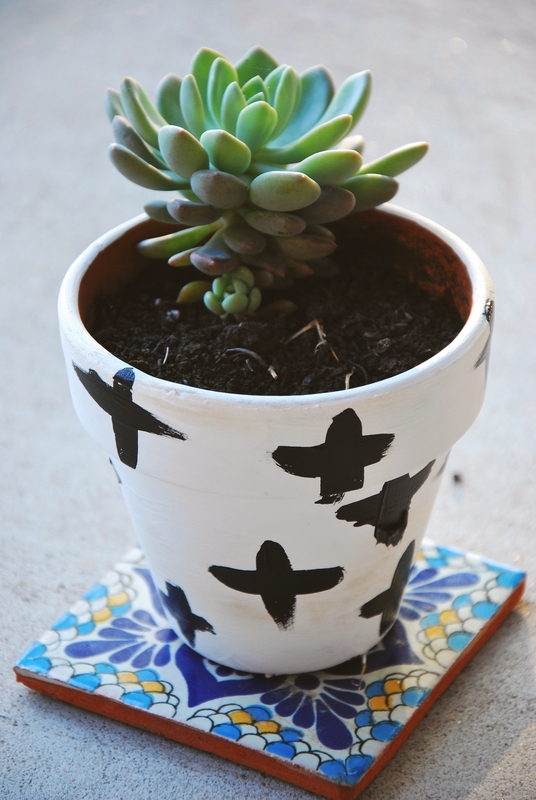 I am incredibly into fixing up my old terracotta pots with a little bit of paint-if you haven't noticed. 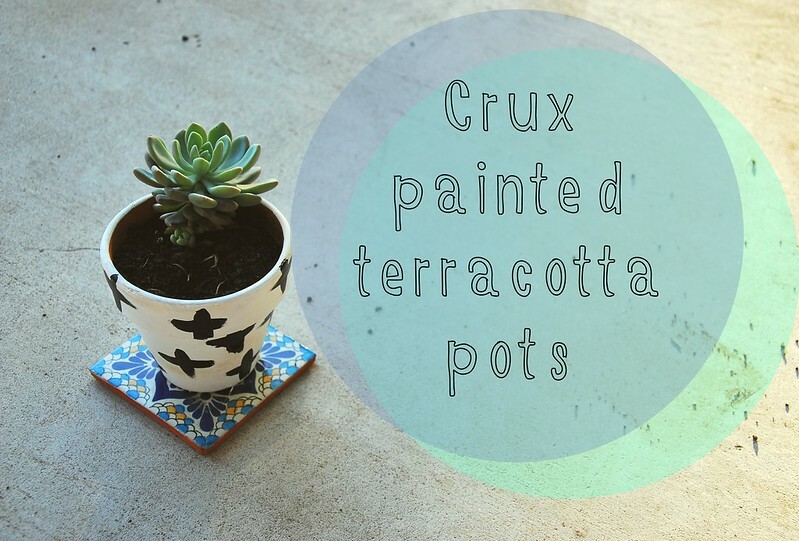 I made a few in the past on our blog, but hadn't tried out one of my new favorite design trends, crux! It was so easy to do! 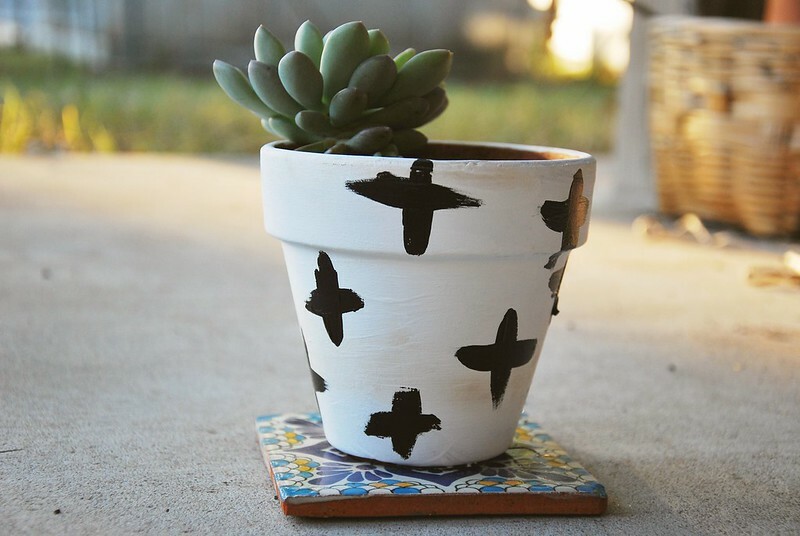 I just first applied two coats of white to the entire outside and finished it off with some quick brushes with black paint. I love the way it turned out! Almost all of my little plants have found their way inside thanks to project "bring the plants inside." I only have a few more projects to go on this series! What design trends have you been really into lately? -a clover and a bee view other projects from this series here.